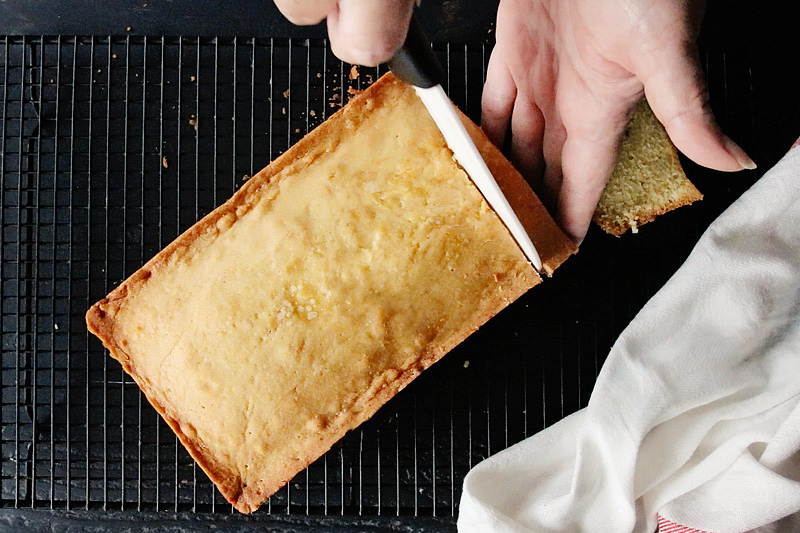 A true pound cake where the four main ingredients weigh exactly one pound. Based on the original recipe for pound cake from 1700s England. It’s the scent that grabs hold of you first. Escaping through the nooks and crannies and crevices, seeking out a willing host, penetrating your nostrils as it races towards the memory center of your brain and suddenly, you’re 7 years old again, pulling out your very first cake from the red Easy Bake oven you got for Christmas just a few days earlier. You can’t help yourself. You need another hit. So you inhale deeply, taking in the scent again. And, oh! That scent! It fills your head until you’re weak in the knees. Now you’re 14 years old, your mother’s big red Betty Crocker spiral-bound cookbook laid out before you while you cream butter and sugar together with the well used white Oster hand mixer your mother received as a wedding gift. Then you’re measuring out the flour, which despite your careful endeavors, winds up looking like snow all over the front of your favorite t-shirt. There's maybe even a little in your hair, too. Next comes the cracking of the eggs, and unconsciously you're biting your lip in concentration, praying no shell gets past you. And before you know it, there’s that scent again. Oh, that scent! Rich. Nutty. Buttery. Sugary. That Betty Crocker butter cake was the first from scratch cake I ever made. Sure, I’d been making cakes by myself a few years already before attempting it but those were from boxes. No, that butter cake? That started a life-long love affair. Not that I make them all that often. Good butter isn’t cheap. Plus, good butter cakes have no shortage of calories. But every once in a while, I find the need to go back to those moments in my youth where the biggest thing I had to worry about was not over-baking my creations. And this cake does that. 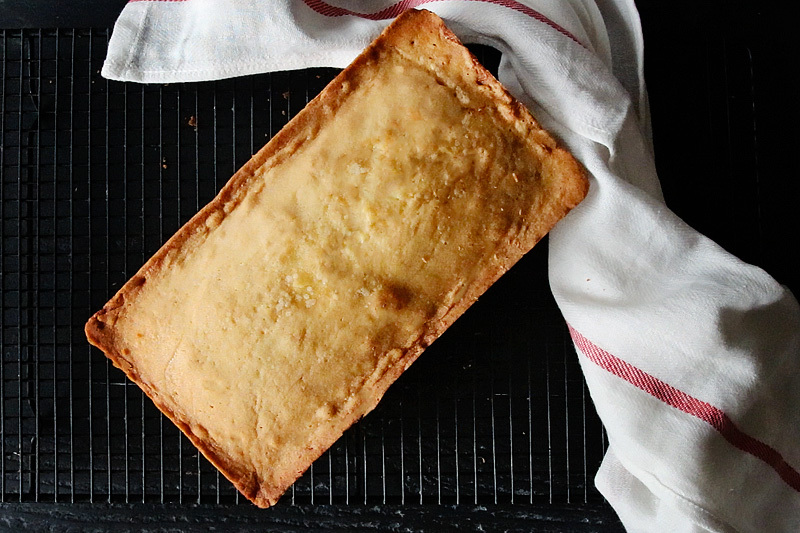 For years, I’ve thought about making a "true" pound cake. 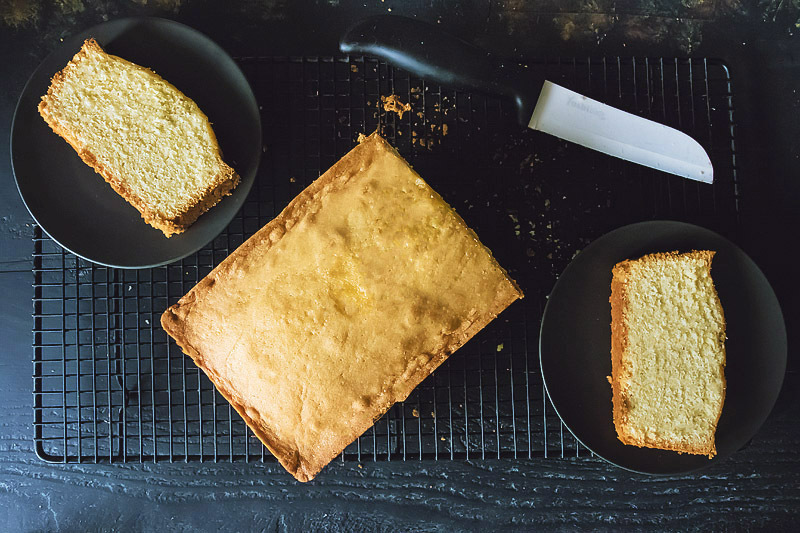 It's named pound cake for the simple to remember ingredients made up of typical pantry staples in the 1700’s: 1 pound butter, 1 pound sugar, 1 pound flour, 1 pound eggs. After reading stories of success and failure from various sources, I decided this past summer that it was time. This is not the light, delicate pound cake you pick up at your local grocer or baker that leaves your fingers just a little greasy. No. This pound cake is dense, rich, with a wonderful texture that slices cleanly and holds up to next day toasting and a big scoop of vanilla ice cream. 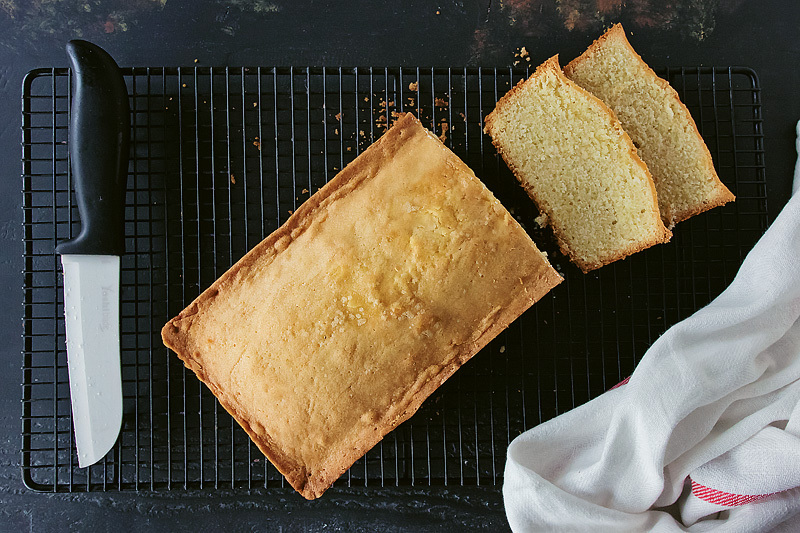 Debates abound as to whether adding flavoring is allowed in a “true pound cake." I found references suggesting that later recipes from the mid-1800s did suggest rose water, brandy or essence of orange be incorporated if desired. I added vanilla. And a pinch of good sea salt to balance out the sweetness. And I’m still calling this a true pound cake. Even with my cheat or two. Ready to give this a try, too? 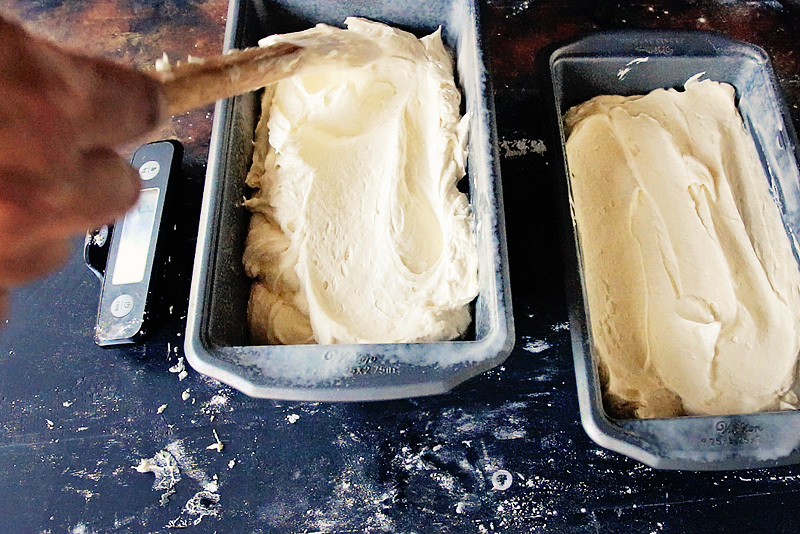 Let’s bake. Since the butter is the main flavor in pound cake, buy the best you can afford. I've tried lots of different brands, and my favorite is Kerrygold, an Irish butter from grass fed cows. It's a European style butter, meaning that it's churned longer than your average American-made butter, resulting in less water and higher butterfat. For baking, this can help cakes rise higher and for pie making, less water and higher butterfat results in flakier crusts. Two other brands, also European style, that I love are Plugrá and Strauss. 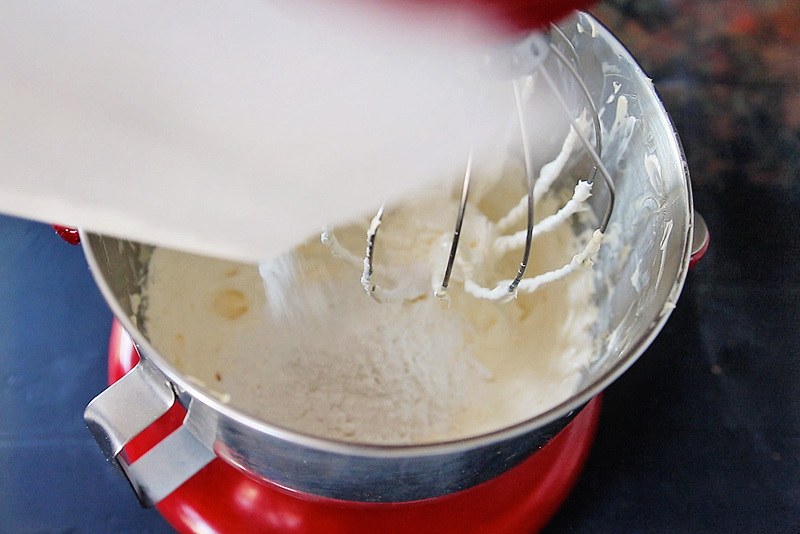 Place room temperature butter in a bowl of a stand mixer with the whisk attachment. Oh, and by the way, do not preheat the oven; this batter needs to go into a cold oven. Beat the butter on high for three minutes. Scrape down sides of the bowl and beat for five full minutes on the highest setting. There is no leavener in the recipe; the lift comes from the air beaten into the butter. So don't rush it. Add half the sugar to the bowl of the stand mixer. Mix on low for 35 to 45 seconds, then beat on high for 3 minutes. Repeat with the rest of the sugar. 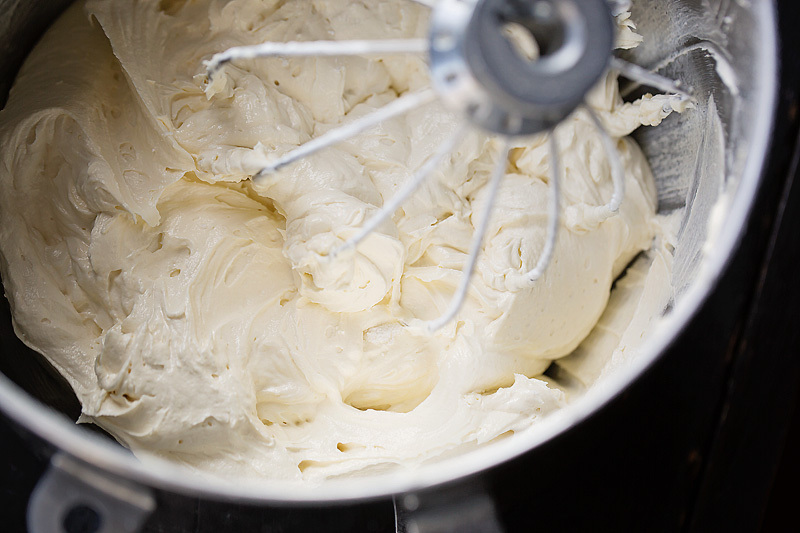 The batter should be super light and fluffy, like buttercream frosting. 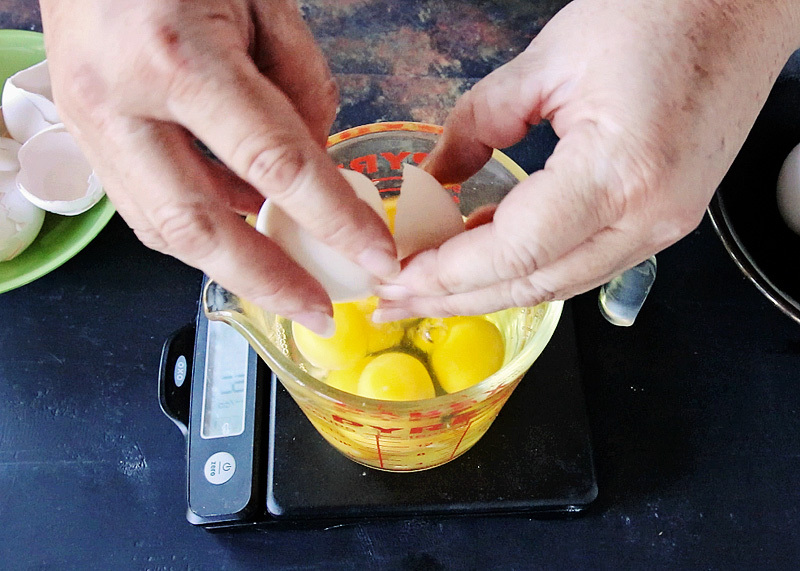 Weigh out a pound of eggs. It took 9 eggs for me to reach 1 pound. 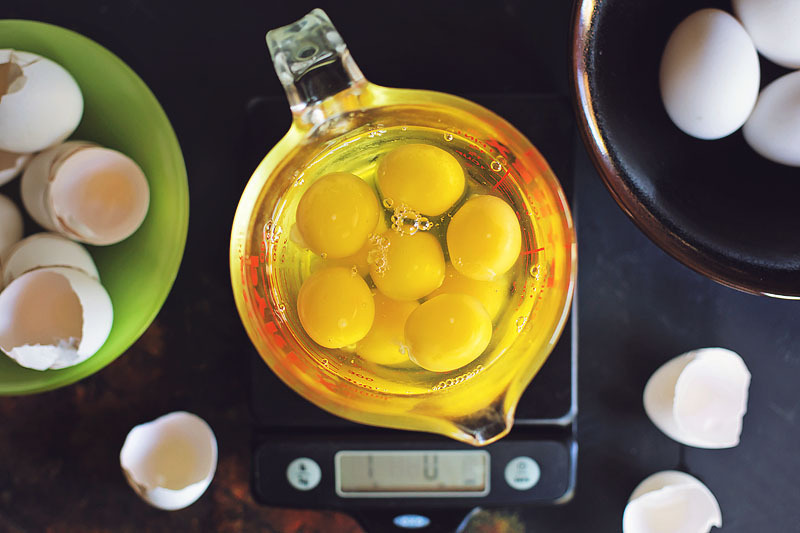 Your count might vary, depending on the size of the eggs, so be sure to use a kitchen scale. Add the eggs one at a time, beating on medium after each addition until the egg is just incorporated before adding the next egg. Once all of the eggs are beaten in, add the vanilla and beat just until incorporated, about 35 seconds on medium speed. Ok, so here's a little cheat. 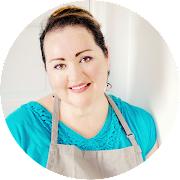 All-purpose flour and cornstarch are two of my pantry staples. Cake flour is not. So, I used cornstarch and sifted the flour three times to lighten the flour a little instead of buying cake flour. 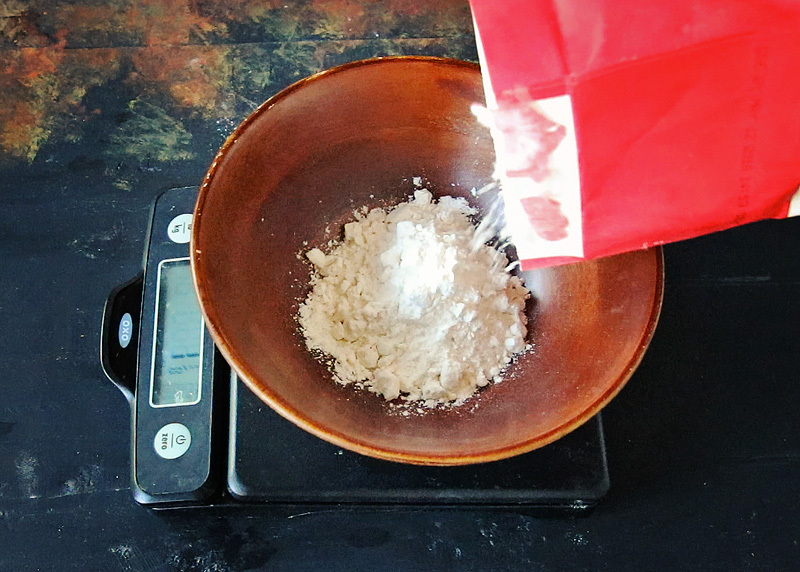 Start by measuring out 1 pound of flour. Remove 8 tablespoons (or ½ cup, leveled, I just found measuring spoons to make less of a mess). 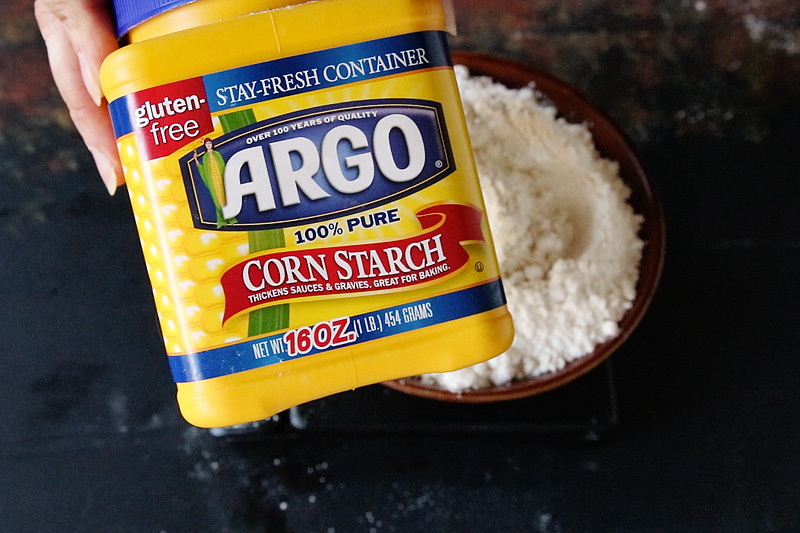 Add 7-8 tablespoons of cornstarch or enough to bring the weight back up to 1 pound of flour. Sift the flour. Pour the flour back into the sieve, and sift again. Pour the flour back into the sieve again, this time adding the fine sea salt (if using table salt, reduce the amount to ¼ teaspoon), and sift a third time. 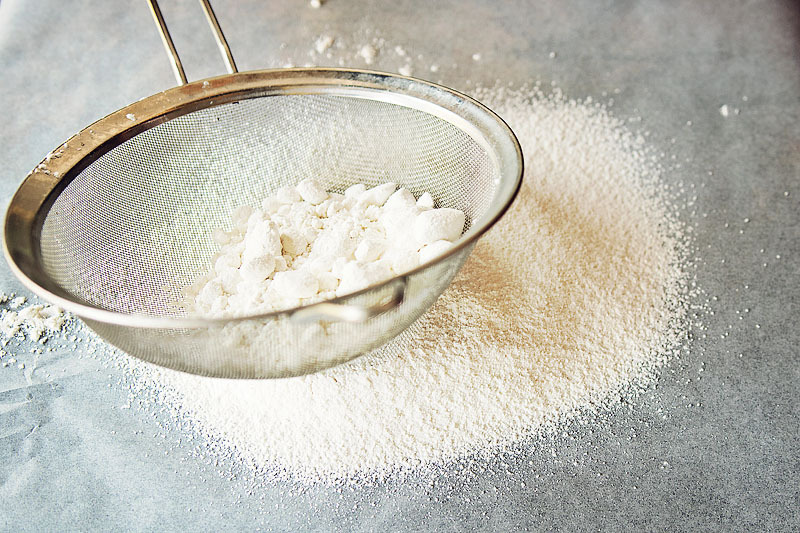 You've now basically made your own cake flour. Switch out the whisk attachment for the paddle attachment. 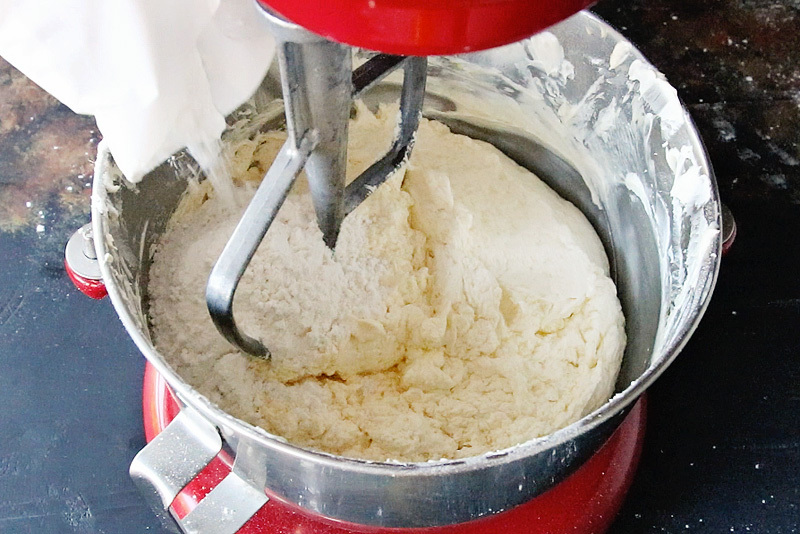 Add ⅓ of the flour to the butter mixture. Beat on medium just until incorporated. 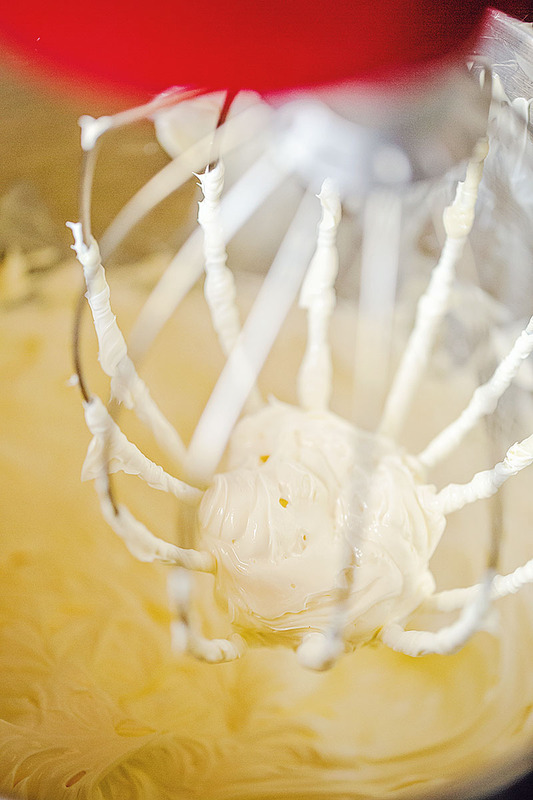 We don't want to over mix at this point as you risk deflating the butter and making the cake tough. Scrape down the sides of the bowl. Add another ⅓ of the flour and mix until just incorporated. Scrape down the sides of the bowl and add the remaining flour. Beat again until just incorporated. I don't know about you, but I have three different kinds of non-stick spray: olive oil, Pam, and baking spray. Baking spray has flour IN the oil so you save a step and you don't have pockets of dry flour in your finished baked goods. 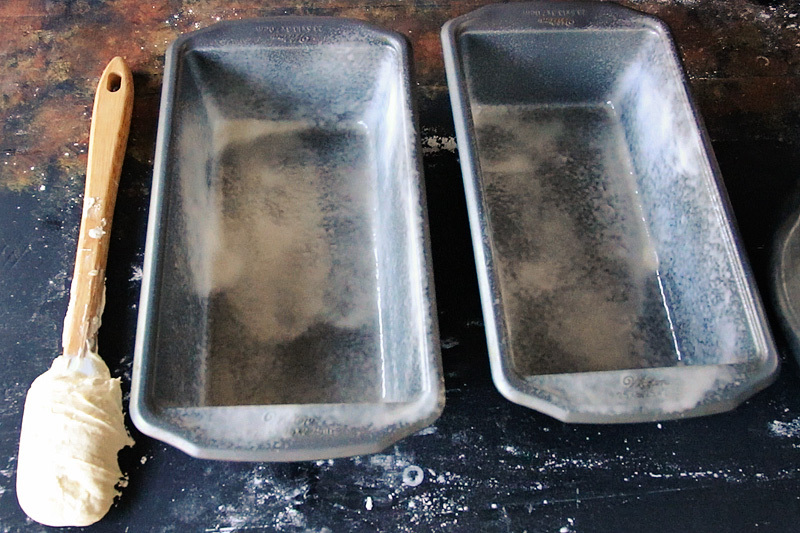 So, here, I've prepped two 9-inch loaf pans with baking spray. 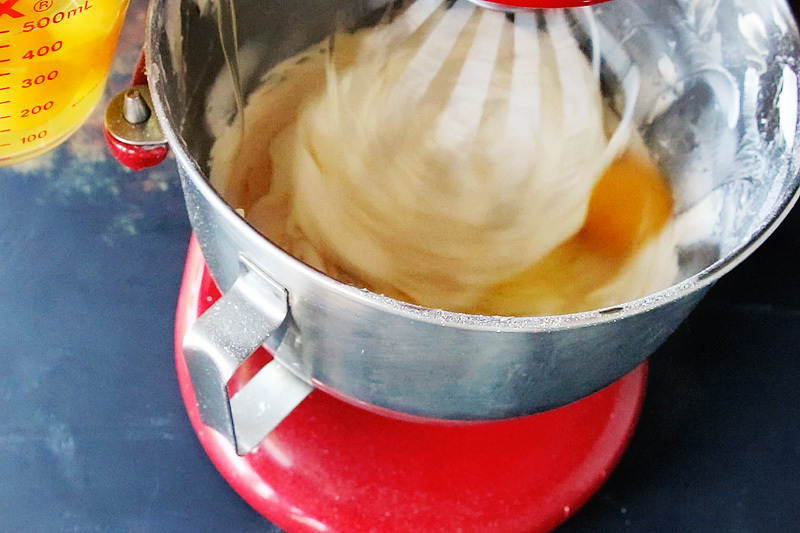 Evenly divide the batter between the two pans. I like to dump most of the batter in the pans then place them on the scale and add the last bit of batter, weighing the pans to make sure they are equally filled. Use a rubber spatula to smooth out the tops. Lift the cake off the counter a few inches and let drop to help dislodge any air bubbles. I forgot to do this so I had big holes in a few slices. Doesn't affect the taste, of course, but it isn't particularly pretty. Also, I didn't do here but if you want that telltale sign of pound cake – the crack down the center – after smoothing, run the spatula vertically about an inch deep down the center of the batter, essentially "cutting" the batter. This will encourage the splitting. Place the pans into a cold oven on the center rack. Set thermostat to 275 degrees Fahrenheit and bake for 1 ½ hours or until a toothpick inserted in the center comes out clean to nearly clean with just a crumb or two. 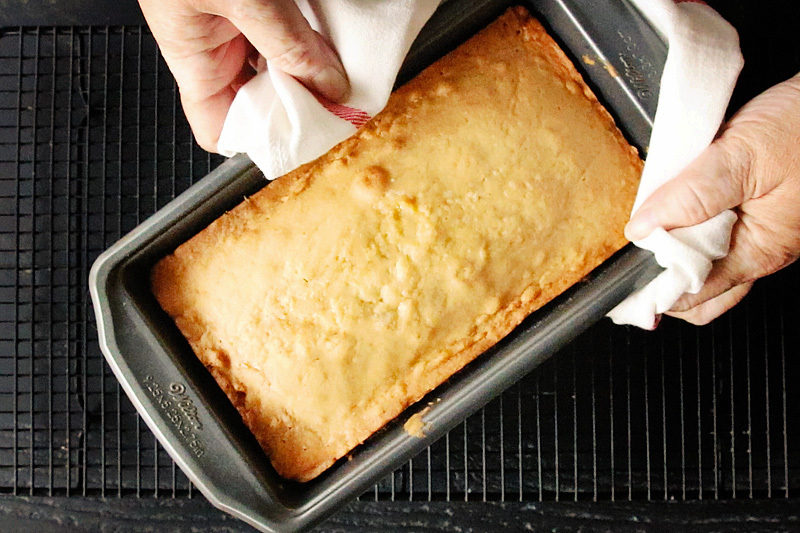 Set the cake on a cooling rack and let cool in the pan for 20 minutes. Carefully turn out the cake and allow it to cool completely before storing. Personally, I find this part really hard. Warm pound cake. C'mon! 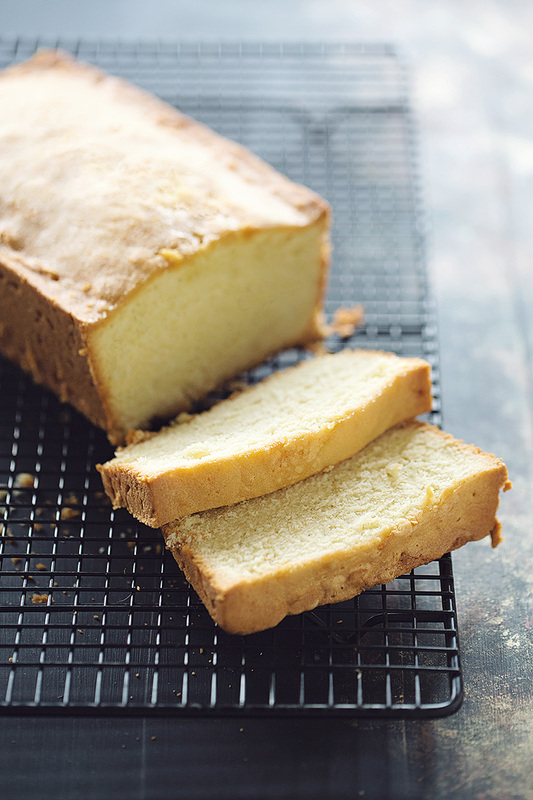 True pound cake, aka, the original pound cake recipe, has been traced back to the late 1700s. 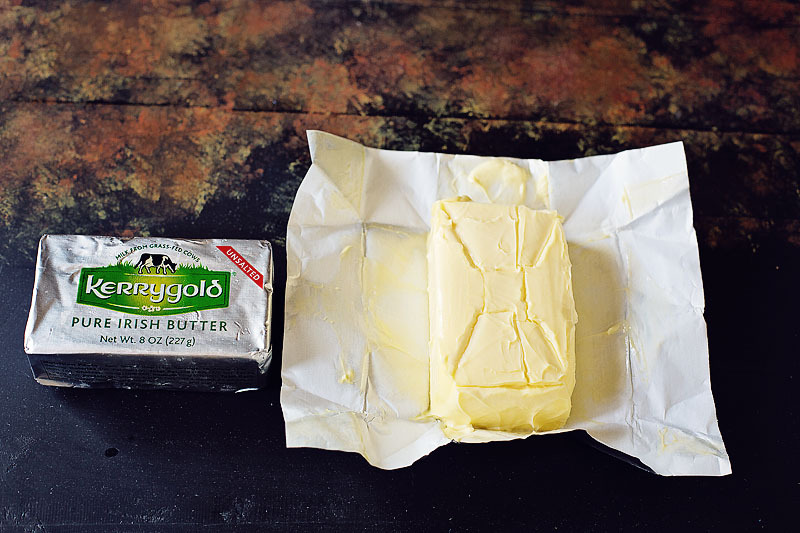 Use the best quality butter you can afford, preferably, European style (I like Kerrygold). Beat butter on high for three minutes. Scrape down sides; beat for five full minutes, until butter is lighter in both color and nearly tripled in volume.Sift powdered sugar. 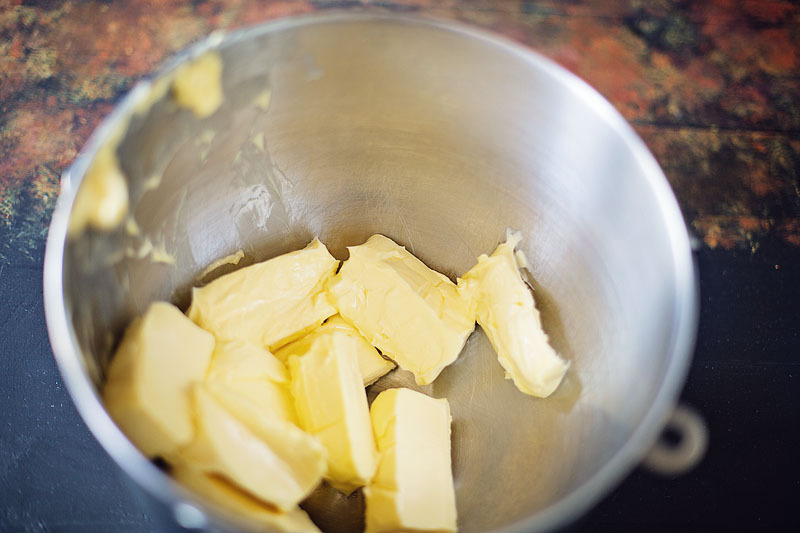 Add half to butter and beat on low for 30 seconds then beat on high for 3 minutes. Scrape down sides. Repeat with remaining sugar. Add vanilla and beat on high for 30 seconds.Beat in eggs, one at a time on medium high, just until fully incorporated, stopping to scrape down sides as needed. 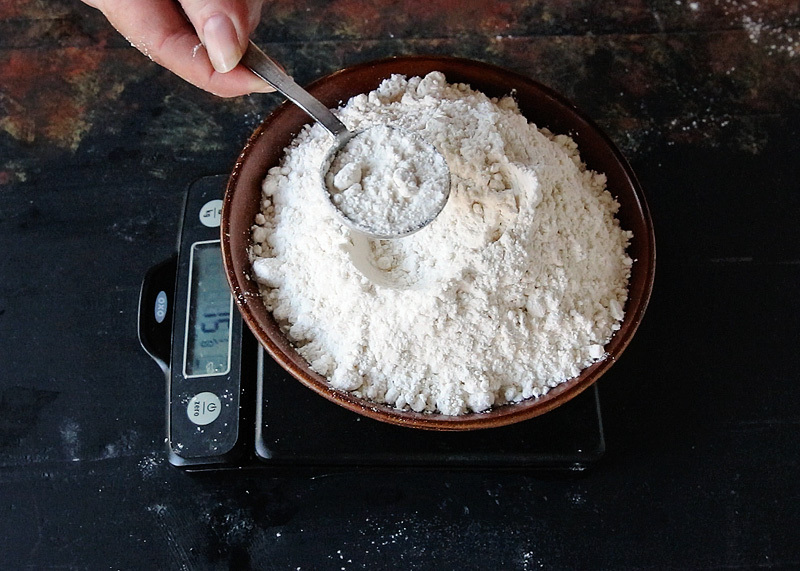 To make homemade cake flour: measure out flour to 1 pound. Remove 8 tablespoons of flour. 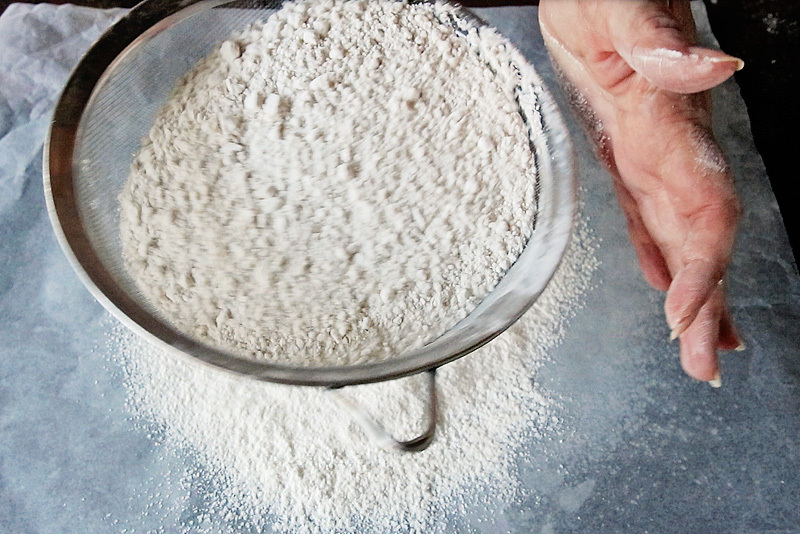 Add 7-8 tablespoons of cornstarch to bring flour back up to 1 pound. Sift flour onto a sheet of parchment paper. Repeat sifting two more times, adding the salt during the third sift.Add ⅓ of flour to butter, beat on medium just until incorporated. Scrape down sides. Repeat with next ⅓ of flour, beating on medium until just incorporated. Scrape down sides and repeat with remaining flour. Spray two 9-in loaf pans with baker's baking spray (baker's spray has flour added, if you use regular cooking spray, lightly dust the pan with flour after spraying). 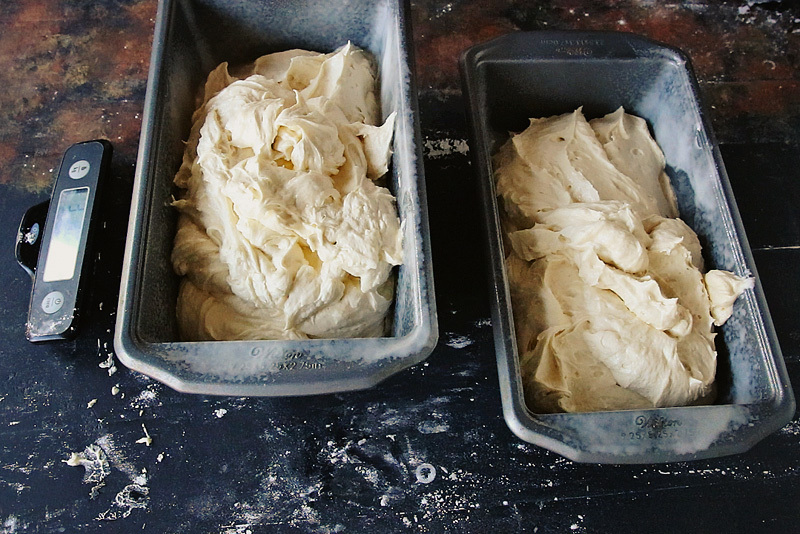 Divide batter between the two loaf pans, weighing them on a kitchen scale to ensure the batter is divided evenly. Place pans into a cold oven. Turn oven on to 275 degrees Fahrenheit. Bake for 1 ½ hours or until a toothpick inserted comes out clean. Cool in pan for 20 minutes. Carefully turn out cake out onto a cooling rack until completely cooled.